Though we highight Tennessee car accident and malpractice information below, there are many other types of cases. We believe that you will find any information you need regarding your specific case throughout our site. If you need more information and help with filing your injury claim, please complete our free case evaluation to speak with an attorney today. Because Tennessee observes this rule, you can sue for any damages that another party caused you. But there is a stipulation because Tennessee also observes the 50% rule. The 50 percent rule means this: You can only sue for damages if you are 50% or less at fault for the accident or injuries. 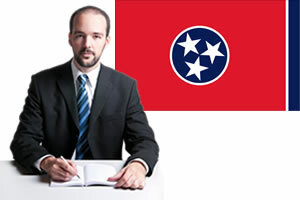 A qualified Tennessee personal injury lawyer can help you prove negligence and determine fault for your case. What are the Damage Caps in Tennessee Injury Law? At this moment in time there are no damage caps in Tennesee medical malpractice law. Usually the Tennessee courts help determine how much is awarded in damages.